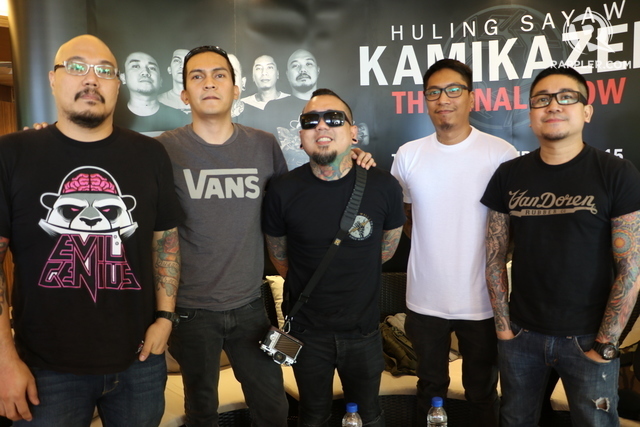 Can’t get enough of the “Huling Sayaw” concert of Kamikazee last December? Refresh your memories through this concert coverage I did for Rappler. I also did an exclusive interview with the band wherein they shared five career lessons to budding Filipino rockstars. Rockstars are definitely flocking the Philippine stage. 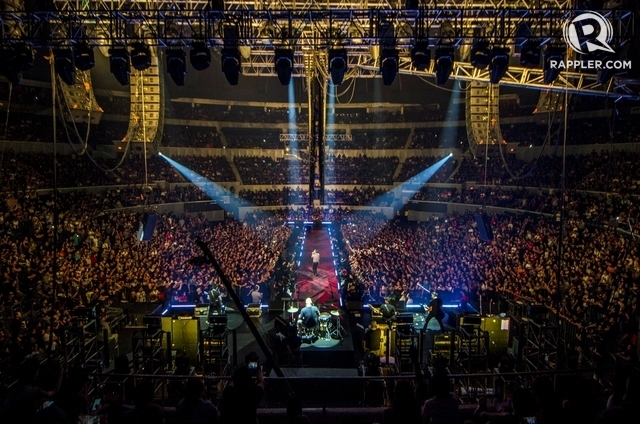 Last January, the Japanese band, ONE OK ROCK, invaded Manila by storm. Catch my pre-concert article on Rappler. Also last December, I covered the UP Lantern Parade with lighted floats to give tribute to the Philippine Cinema. Are you tired of your same old itinerary every Maundy Thursday’s Visita Iglesia? Why not try seven churches somewhere outside Metro Manila? Bataan is a peninsular province about two hours away from Manila. But the place does not only boast of its historical landmarks and good beaches, but also of its centuries-old churches that sure will boost your Instagram followers in no time. Ishilta, my therapist that afternoon, said that I was a virgin. Yes, that was the first time ever that I tried and experienced a form of spiritual healing. And it happened in a place called Bahay Ginhawa. When literally translated to English, bahay means “house” and ginhawa means “relief.” But I think, the word “release” would be more fitting to describe my initial divine encounter. Bahay Ginhawa is actually a home for a number of holistic sessions, whether Eastern or Western, that are crafted towards the physical, mental, emotional and spiritual well-being of its clients. Ms. Ime Morales, a friend and founder of the Freelance Writers’ Guild of the Philippines (FWGP), was the one who invited me to this wholistic home. Her first message to me about this was around the first week of February, but the two of us were only able to visit about a month later. Given that time-frame and since it was my first time to undergo such a session, Ishilta said that maybe, there was a reason why He brought me here, moreover, why He structured the turn of events for me to try Halimuon or the aroma therapy healing. Located at 100-A, K6th St., East Kamias, Quezon City, Bahay Ginhawa felt so homey the moment I entered the door. The house welcomed me with colorful mats lining the living room. Here, Ishilta oriented me and Ms. Ime about Halimuon. The name actually came from the Tagalog word for scent or aroma. Halimuon is a therapy involving the use of 12 essential oils, which Ishilta ships from the United States to be able to give Filipino clients one of the best aroma therapy sessions in town. These specialized oils, were created by Young Living, the world leader for natural wellness oils. But Ishilta said that using the 12 essential oils could be an overdose, especially for virgins like me. So for that afternoon, he would be using only six. And together with some gentle touches, with the permission of the client, Halimuon could turn out to be an emotional therapy meant to release “toxins” that were stored deep down. I lay down on a bed and Ishilta gave me a sleeping eye mask for better relaxation. The moment I withdrew my vision and rested my head on the pillow, my brain automatically signaled red alert to my other senses as if setting an elusive defense mechanism. As I was waiting for Ishilta’s next move, things started panicking inside my brain: how I almost got lost getting there, how my meeting afterwards would be, how the therapy would unfold, what will Ishilta do to me, how would my body react, how would I react. Ishilta applying the oil of Valor. Photo by Ime Morales. Ishilta started the session with the oil of Valor, asking me if he could rub them on the soles of my feet. I gave him my permission and then the room was suddenly filled with a mixed aroma of spruce, rosewood and frankincense, from which the oil was made. According to Young Living, the oil was crafted to promote strength, courage and protection, and so to pass that to me, Ishilta held my feet for a while. But this did not stop my thoughts from running to and fro. The next oil in line was called Harmony, made from ingredients like lavender and ylang-ylang. Ishilta then proceeded to putting oils on certain points of my body, with my full permission, like my wrists, my neck, my forehead. Ishilta later on revealed that these were the chakra or energy centers on my body and the oil was set to harmonize the flow inside my system. Still, my thoughts were stubborn enough to align themselves. The next oil was called Release, made from ingredients like grapefruit, spearmint and rose. When coupled with the oil of Forgiveness from sesame and chamomile, these scents were said to unlock emotional and personal walls, releasing repressed and hurtful memories. And if the oils were busy doing their job, my brain was so pre-occupied to even notice anything about the fragrances. At some point, Ishilta also asked for my help in putting some oil on my stomach and on my chest. Another oil was something called Present Time, which reminded my brain to be “in the moment.” I somehow felt that time, my thoughts finally noticed the scents and started to relax. After all the oils had been applied, I felt Ishilta position himself near my head. And the moment his palms touched my hair, the remaining perkiness of my thoughts suddenly disappeared and my mind and body just seemed to “align” themselves towards Ishilta. Applying oil on my stomach. Photo by Ime Morales. He went on by asking me some questions and I answered accordingly. But for some weird reason, there were no images forming on my head. The thoughts that were disturbing me earlier were never awakened. It was like staring and floating into a vast sea of nothingness, welcoming Ishilta’s whispers inside my already opened personal wall and just letting those expressions explore the hidden corners of myself. I was drifting into deeper states of relexation when he started whispering words like self-worth and forgiveness. And then all of a sudden, a tear just fell from my eye. I was not sure what specific emotion I was feeling at the time. All I knew was that the words, somehow, had finally hit their targets. Ishilta continued the flow of words and soon I was catching my breath. There even came a point when I could no longer produce an answer to him for I was overpowered by some faint whistling from my chest, a sign of a mild asthma attack. Finally, Ishilta stopped talking. But lifting his hand from my head was like removing the plug from the drain. He said that the session was over. I sat down and the moment I took off the eye mask, all the emotions that reacted to his words earlier just burst out. I had been emotional for the past months now, but I would say that this cry was the most liberating of all. Ishilta gave me time to gather myself up. And for the first time in months, I felt so light. It seemed like a huge weight, which I had been carrying for the longest time now, had just disappeared. Ishilta said that normally, clients would only get emotional when the session was over. But I was already reacting midway through the therapy. Maybe there were just so much to be released. I now wonder what would be the effect of 12 oils. He also said that the topics he was asking the clients during the session differ from one to another. He said that maybe everything depended on what He wanted this particular person to know. And in my case, maybe, He just wanted me to finally let go and be free. Or through their Facebook page linked above. I took some photos of the Filipino band, Banda ni Kleggy, during their performance at the UP Fair Overdrive Wednesday 2016. Check them out on my sister blog, Rhythmic Feels! It is now again the season for the University of the Philippines (UP) Fair. This yearly tradition, which happens on the week of Valentine’s day, has always been a celebration of the Filipino independent and mainstream music industry. Bands from all over the campus, as well as world-renowned Pinoy artists have always gathered at the Sunken Garden to make the UP crowd more rockingly insane. On February 10, the second day of the week-long event, entitled Overdrive, the organizers are able to come up with the best music line-up for this year’s fair. The ONE OK ROCK 35xxxv Limited Edition CD and DVD. Photo by Sheen Irerick Seeckts. Being an avid fan of the Japanese culture and the band, ONE OK ROCK, I wrote a special feature about this artist on Rappler. Click HERE to read the full article. This band is conquering Manila tonight! Grab your tickets now! Only at SM Tickets! Co-presented by Pulp Live World and 28 Black. “Al dove u all,” a variation of AlDub, the phenomenal tandem from Eat Bulaga’s Kalyeserye. Now on its 107th year, the lights of the eleven colossal lanterns, each around 20 feet high, twerked through a music show amidst the rain on the opening day. Brgy. Dolores was hailed as the overall champion while Del Pilar, Sindalan and Calulut bagged the first, second and third runner-up awards, respectively. The Giant Lanterns of Pampanga are run by electricity and controlled manually by using these rotors. Released in 2014, the song, Twerk It Like Miley, was even popularized locally by the segment, “That’s My Bae” on the noon time show Eat Bulaga. The song eventually became part of the soundtrack of the show’s phenomenal segment, Kalyeserye, featuring Pambansang Bae (National Heartthrob) Alden Richards and Dubsmash star, Maine Mendoza. The tandem was later on known as AlDub, which was a combination of Al from Alden and dub for Maine. But using festive songs, with a little bit of spice in them, did not mean losing the true essence of the image of the lanterns, the star which guided the Three Wise Men towards the child Jesus. An figure of the Virgin Mary and of Christ on the cross were featured in Brgy. Sindalan’s parol. The asset of the lantern of first runner-up Brgy. Del Pilar featured a dove, symbolizing peace and bringing “al dove,” a variation of AlDub, across also. Brgy. Sindalan also paid tribute to the Philippine flag to the tune of Francis M.’s Mga Kababayan Ko. The world-class lantern performances were re-staged at Essel Park at Brgy. Telebastagan on December 22. The following day, Brgy. Sindalan witnessed the lantern twerks at Greenfields Tennis and Country Club Inc., where the Viewfinder took all her videos. On December 26 and 27, Angeles City watched the lights at Marquee Mall. The lanterns had returned to Robinsons Starmills from December 28 – 30 and would be illuminating Clarkfield on New Year’s Eve. They would be spending the first 6 days of 2016 back at the same mall. From the Facebook page og Giant Lantern Festival 2015. If one would be going on a road trip, Pampanga would just be one to one and a half hour drive from Manila. Just cross the North Luzon Expressway (NLEX) and take the San Fernando exit. Robinsons Starmills would just be after the toll gate. If one would be taking public transportations, any bus going to Bataan would be passing by Pampanga. The said buses also had a bus stop at Robinsons Starmills. Genesis or Bataan Transit terminals in Cubao or Pasay would get anyone to the city of San Fernando. Bus fare would be just around a hundred pesos. The Ligligan Parul truly was one of the most festive celebrations of Christmas in the country. And for the tradition to last more than a hundred years meant that our Kapampangan craftsmen were able to go with the trends over time. And so this year, they made the lanterns twerk. In 2016, the year of the monkey sure would be bringing something naughty and cheerful for the world to see at the Giant Lantern Festival of Pampanga. It was the year when DSLRs started capturing video, and memory cards began dethroning mini-DVs in the film and photography industries. At the Dominion Bus terminal in Cubao, Quezon City. Circa 2008. The year was 2008. It was the semestral break of our third year in film school. For the following term, we would be asked to present our production theses and proposals. And the pressure was just so overwhelming that we felt lost and did not know what to do. We all knew where our compasses pointed and so we decided to find ourselves further north. We went on a trip, not towards the Cordilleras where most people would go to, but somewhere northwest. After more than eight hours of traveling by bus, we found places willing to share their experiences with lost souls like us. And they were none other than the provinces of Ilocos. In Science, the first step in the scientific method had been to observe. And where could we go to see an overview of the whole situation? High places had always been perfect spots, just like the Bantay Belfry. Situated on top of a hill, the campanile of the municipality of Bantay provided one of the best views of Ilocos Sur. Built during the 1590s, the brick establishment served as a watchtower for enemies since the Spanish Period up to World War II. The Bantay Belfry, towering over Ilocos Sur. Photo by Ami Gatchalian. But the tower was not made only to spot intruders. It was also a good place to check what the vast world could offer young castaways like us. And upon seeing the entirety of the picture, we decided to visit the Spanish checkerboard of the nearby city of Vigan. Intersecting roads might be more confusing to those seeking the right path. But the timeless beauty of the cobblestones and the capiz shell windows were telling us that they might be holding the lead to our search. A piece of technology amidst the centuries-old surroundings. Photo by Sheig Encelan. The Heritage Village of Vigan never lost its magic through the years. The calesas continued to transport guests back in time. The place was even hailed recently as one of the New 7 Wonder Cities of the World. Calle Crisologo and its old Spanish houses would always remind us of our rich history. The place taught us, that for us to be able to move forward, we should, every once in a while, look back to our past. Pottery had been a craft practiced around the world ever since mankind began. And it remained to be a process ever since. Danboard overseeing the burnay-production. Photo by Sheig Encelan. The Pagburnayan of Vigan, located a few minutes from the Heritage Village, was a living demonstration that the best things in life never happen overnight. From the gathering of clay to the molding of the jars up to the kilning process, pottery sure was a craft requiring specific skills and a lot of patience. And so was film and other significant forms of art. So did we really have the patience? We braced ourselves and embarked on another three-hour bus ride to witness the coastal towns of the nearby province of Ilocos Norte. And just before we reached the municipality of Pagudpud, the first test of endurance greeted us, “Hello!” Strong winds came rushing, blowing away everything on its path. And they were no ordinary winds. They were strong enough to make 20 colossal pieces of steel rotate to produce energy. The epic Bangui photo of Sheig Encelan. The Bangui Wind Mills, inaugurated in 2005, were one of the major sources of electricity in the region. Because of the strong winds, the shore was covered with chunks of polished stones instead of the usual white sand. Journeys were made exciting by these strong winds. And the best way to get through them was just to glide and go with the flow. A few more minutes on the journey and the winds finally subsided. But it was just a starter. We were welcomed after by a majestic view of the West Philippine Sea and a significantly winding road. Are you willing to go through Patapat Viaduct? Photo by Ami Gatchalian. The ride through it was nice and sweet. And true enough, this winding road was really kind to lead us to our final destination. Finally, the fine white sand beaches of Brgy. Saud in the town of Pagudpud brushed the soles of our feet. And being on a journey to find our true north, the Polaris Beach Resort caught our attention. And luckily, they even offered us a fair student discount. It was already dark. The six of us sat quietly by the shore, staring down at our sand-laden feet, while enjoying the sweet hum of the waves. Everything was so calm and serene. There were no bars by the shore. There were no drunk people dancing around bonfires. There were no loud music. It was just the sand, the sea and us. Hours passed by quietly. Drowsiness was slowly pushing our backs flat on the sand. Looking up now, we finally saw what we were looking for. Apparently, we were not alone that night. We were accompanied by the stars, beautifully arranged in the velvet sky. And there at the center was the genuine Polaris, outshining all the other stars. And the experience was like an electric shock to our veins. Right there and then, sweet smiles were etched on our faces. Every trace of being lost was now temporarily gone. There was a rainbow behind us. There was… really. haha. Pagudpud 2008. After 3 days and 2 nights, we were able to find what we were looking for. We went back to the bustling streets of Manila bringing with us those shining ideas for our theses. Seven years after, in the year 2015, we are still wandering, this time in this so-called real world. And being lost in the real world is nothing compared to being lost at the university. We were now on an intensified search of ourselves, hanging somewhere in the time-space continuum. Consulting the compasses of the real world can be overwhelmingly confusing. They point to a variety of paths that lead to a variety of goals. But upon looking back on this trip, we are reminded. The night sky offers a wide range of stars and dreams. All we need to do is to find our true North Star, the one that outshines them all. A half spread photo and a feature on Corregidor Island. The island is like a re-enactment of that calm-before-the-storm scene from Pearl Harbor, Hawaii, before the surprise attack. The winds are quiet, sending gentle waves at the North Dock. The Philippine flag is fluidly dancing through it, enjoying its long lost freedom. The ruins stand dignified under the sun, boasting of its survival all this time. And the cannons are sitting lazily and cozily on the battery concretes. But all of a sudden, the island is jolted into battle mode, as a ferry filled with tourists docks in the shores of Corregidor. It is as if history, experience and trauma suddenly send a silent air raid alarm, awakening the whole island. At around past nine o’clock in the morning, the visitors, who seem to be recruits newly introduced to war zone, have already disembarked from the vessel and are gathered around the pre-war tranvias. By this time, Corregidor is now all-prepared to make its transformation and transport these new soldiers back in the time of war. The Viewfinder gets you back in time on her feature on Corregidor Island, which just got published in the pre-holiday issue (Vol. 7 No. 3) of Travel Plus magazine. Grab your copies now to find out how the island explained the word war to visitors. Travel Plus magazine is available on all leading bookstores and magazine stands. And as the soldiers now leave the island, Corregidor can now go back to rest while the tourists bring with them a deeper understanding of the island and this powerful word called war.